This past month we added five new Ministry Partners! This is always a big decision. We start off by praying, looking at how God is using and growing our ministry, and asking for wisdom to make sure a ministry is a good fit. Do we have time to commit to them and continue to care for our current Ministry Partners? Does their experience and reputation show they have what it takes? Is their ministry truly having an impact on people for the good of Christ? Check out our new Ministry Partners below. Learn more about how ministries can begin to partner with us. 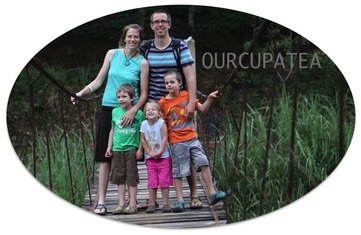 OurCupATea is a family effort ministering in Asia. Their desire is to connect with people daily, meet their physical needs and share the good news of Christ with them. Lighthouse Church is located in Kansas City and wants to focus on living like Jesus. That means gathering as a church simply in homes and developing transformational relationships. 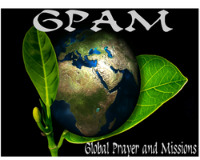 Global Prayer As Missions seeks to build missional friendships in Africa to reflect Jesus’ prayer for unity in John 17, and as one of the best ways to share the God-sent Jesus with the world. 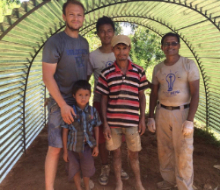 Jared Schwartz is working with an established relief team in Kathmandu, Nepal and outlying villages. His friend, Kshitiz Ghimire, a Nepali national, and the Kathmandu Baptist Bible Relief Team have already helped hundreds of families. Jared will continue to provide essential food and water, school supplies, building projects, and more to these hurting people. Metro Christian Felloweship is located in the KC metro area, working to establish Christ's kingdom within the metro area and to all the nations, affecting change and nurturing hope in His people. Shilo, our office administrator has returned from maternity leave. It is a blessing to have her back serving our Ministry Partners. Pray for her as she adjusts to having two kids and figures out her new schedule. Pray for Jason Schoff, one of our Board members who is visiting our Ministry Partner, giveDIGNITY in Costa Rica. Pray that this is a restful trip for him and that God can use him to minister and serve our friends there.